A new exhibition at Canberra Museum and Gallery from 13 May provides the opportunity to gain an in-depth understanding of one of the Canberra region’s most celebrated glass artists and teachers. The Canberra region is now renowned as a global centre for contemporary glass art. Its artists are sought after in Europe, the United States and increasingly in Asia and the Pacific. This reputation has been built through 35 years of great passion and advocacy; and of determined casting, fusing, blowing, slumping, carving, and polishing. At the core of this reputation is the Glass Workshop at the Australian National University's School of Art and Design in Canberra. When the Workshop’s first kilns clicked to life in 1982 there were two staff, Klaus Moje and Neil Roberts, and only five students. Kirstie Rea was among them. Today there are more than 50 practicing glass artists at work in the Canberra region, and hundreds who have trained here and now work further afield. The ten-year-old Canberra Glassworks is a tourist draw-card and it is a celebrated symbol of our region’s capacity for ingenuity, skill and global connections. The exhibition KIRSTIE REA the land: a 20 year survey provides a unique opportunity to experience the work of an artist and teacher of glass who has contributed much to this success. Rea was born and raised in Canberra and her work often draws on her experience of our region’s landscape. Her adventures with cast and slumped glass entrance us. In one stream of work her pieces contrast the heavily tinted depths of translucent cast glass with meticulously worked surfaces. They could evoke the patina of aged farm equipment, or even the satin surfaces and tactile edges of eucalyptus leaves. In another distinct stream the artist challenges our perception of glass as a brittle, solid medium. Here she pulls a kind of transubstantiation trick, making glass flow, swirl, crease and fly. These almost insubstantial sculptural works evoke the radiant drapery that we see so skilfully worked into medieval stained glass or in a Dutch still life; their delicate weightlessness calls to mind the lightness of a bird in flight. Rea evokes the art of medieval and renaissance Europe to describe both her spiritual and sensual connection to place. Her works are variously inspired by the experiences of a childhood spent swimming in the local pool in the morning and the river in the afternoon, the almost magic recovery of local bushland after fire, and the golden light of the tussled grass of the Monaro. Such an extensive selection of this artist’s work has not been seen before. CMAG's own Assistant Director, Mark Bayly, has created a sensitive and insighful exhibition that reveals an artist who has consistently worked to master and reveal new possibilities for her medium. It is a rare opportunity, so come and dive in! Immerse yourself in the deep experience and beauty of our landscape Rea offers both through and within the work you will see collected at Canberra Museum and Gallery until 20 August 2017. 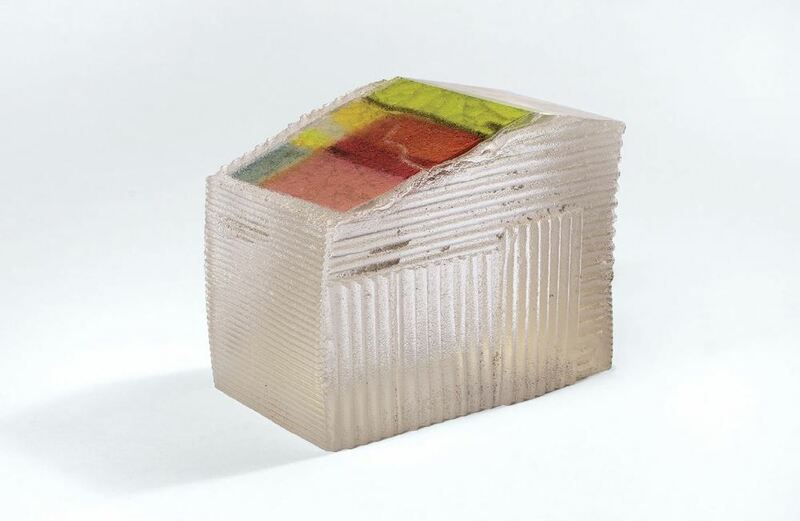 Lead image : Untitled 1998, hot-cast glass, cold worked. Ann Cleary and Peter King collection.